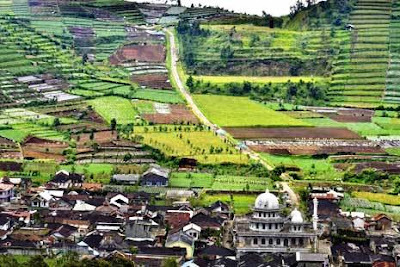 Some visitors of Sileri Crater in Dieng Tourism area of Banjarnegara District, Central Java Province were injured due to chaos situation after some people panicked as the crater erupted on Sunday afternoon. The Public Relation officer of Central Java Police Senior Commissioner Djarod Padakova said the tourists suffered minor injuries after trying to save themselves in a chaos situation. "Some people were injured due to falling when running away," Padakova said. He added there are some visitors who exposed to mud splashes. According to Padakova, the mud is not hot mud flow. The victims are being treated at Batur Public Health-care Center. Previously, a phreatic explosion occurred in Sileri Crater of Dieng Plateau Tourism Area at Banjarnegara District. The eruption is noted to reach as high as 50 meters and occurred at 12.00 local time.